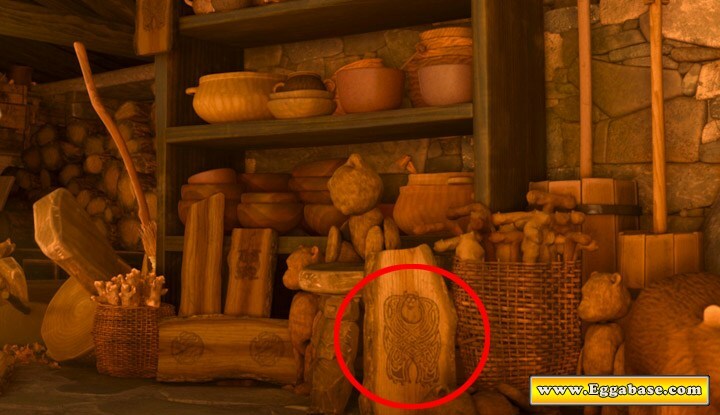 The witches workshop is crawling with easter eggs including the Pizza Planet Truck and many others. 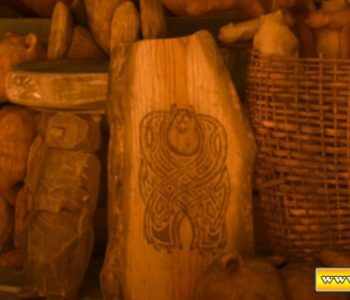 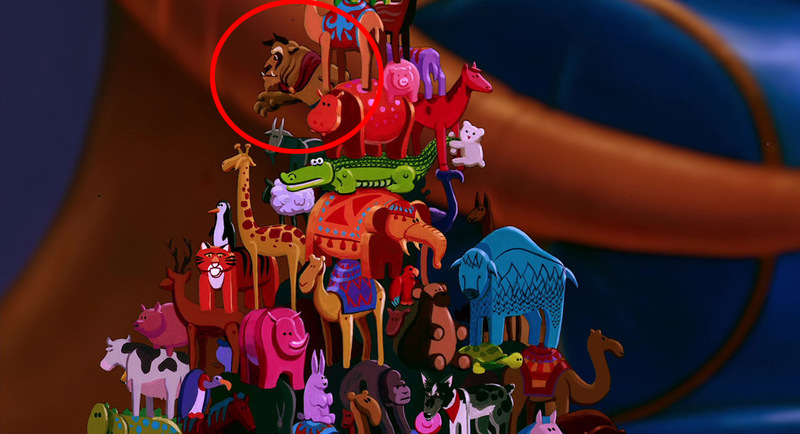 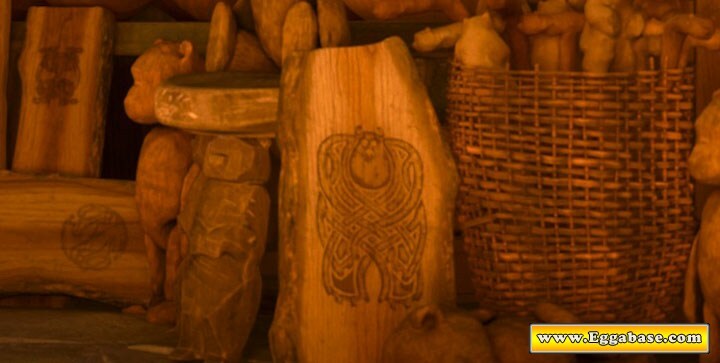 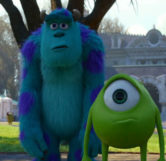 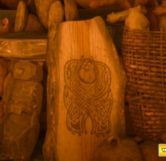 During the scene where we see all of the witches carvings lined up to the side of the room, in the lower right hand corner is a block of wood with what first appears to be a bear carved onto it. 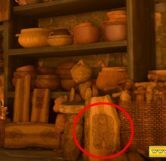 Upon closer inspection however, viewers will find this carving is none other than Sulley from Pixars then upcoming movie, Monsters University. 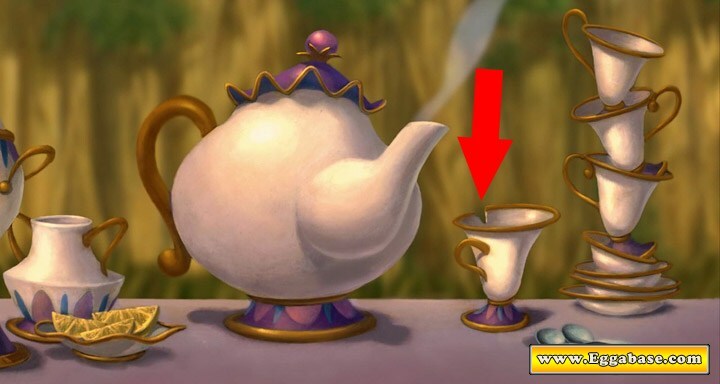 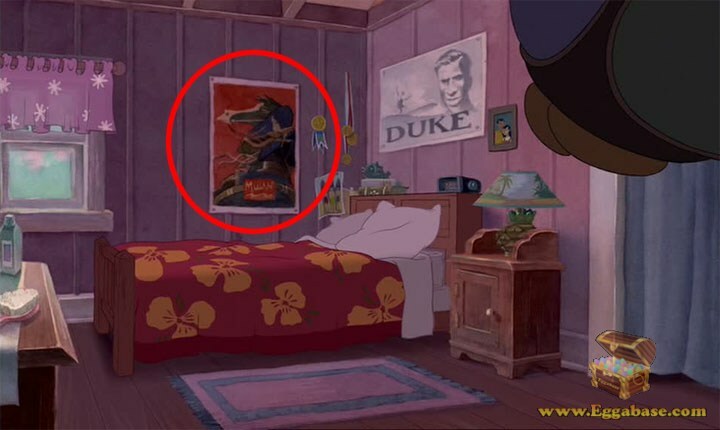 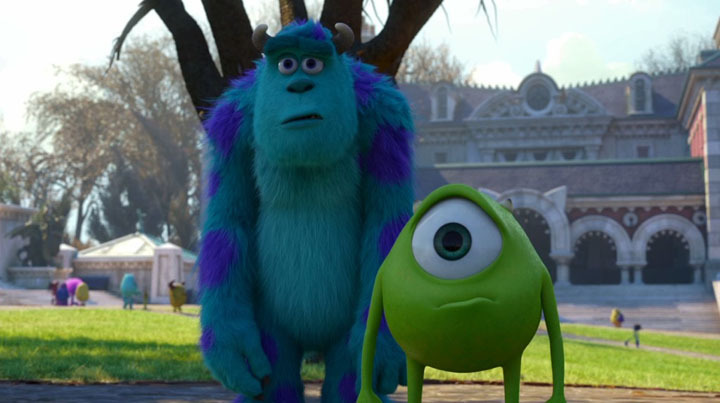 Pixar has a habit of putting characters from movies they’re working on into their current ones, same as with this Newt easter egg also found in the witches house.